I am up to my armpits in projects…so I apologise for a quiet week. This post is to bring your attention to a product that I discovered when I was on a Thai cooking bender many years ago. 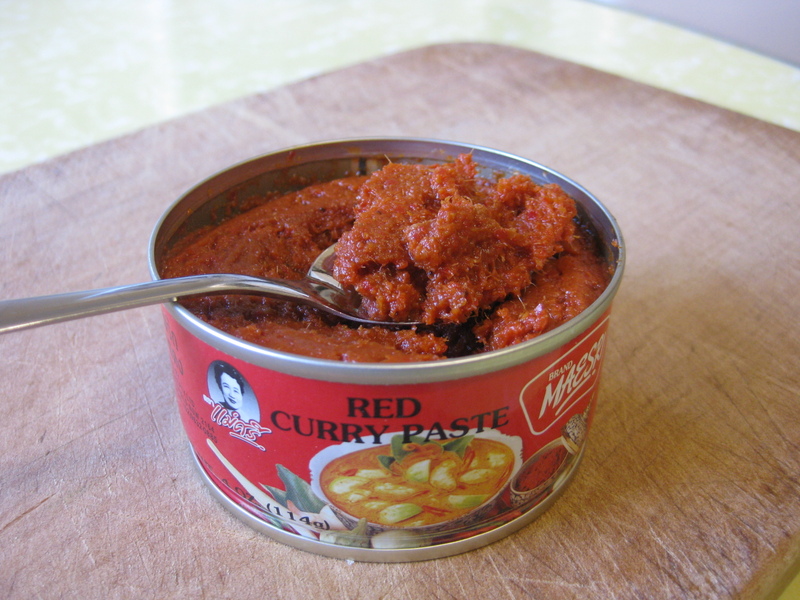 It’s MAESRI red curry paste. This is a great ingredient to have on hand when you want to whip up a Thai red curry. Serve up with some steamed rice and you have a quick, easy and delicious Thai red curry. I use either pork fillet, round steak or chicken thighs for this kind of meal. You can throw in snow peas, red capsicum, baby corn, spinach or broccoli. MAESRI also has panang and green curry products as well.